New Delhi: In the fight against corruption, black money, money laundering, terrorism and financing of terrorists as well as counterfeit notes, the Government of India (GOI) has decided that the five hundred (500) and one thousand (1000) rupee notes will no longer be legal tender from 9 Nov. 2016. 1. With a view to curbing financing of terrorism through the proceeds of Fake Indian Currency Notes (FICN) and use of such funds for subversive activities such as espionage, smuggling of arms, drugs and other contrabands into India, and for eliminating Black Money which casts a long shadow of parallel economy on our real economy, it has been decided to cancel the legal tender character of the High Denomination bank notes of Rs.500 and Rs.1000 denominations issued by RBI till now. This will take effect from the expiry of the 8th November, 2016. 2. Fake Indian Currency Notes (FICN) in circulation in these denominations are comparatively larger as compared to those in other denominations. For a common person, the fake notes look similar to genuine notes. Use of FICN facilitates financing of terrorism and drug trafficking. Use of high denomination notes for storage of unaccounted wealth has been evident from cash recoveries made by law enforcement agencies from time to time. High denomination notes are known to facilitate generation of black money. In this connection, it may be noted that while the total number of bank notes in circulation rose by 40% between 2011 and 2016, the increase in number of notes of Rs.500/- denomination was 76% and for Rs.1,000/- denomination was 109% during this period. New Series bank notes of Rs.500/- and Rs.2,000/- denominations will be introduced for circulation from 10th November, 2016. Infusion of Rs.2,000/- bank notes will be monitored and regulated by RBI. Introduction of new series of banknotes which will be distinctly different from the current ones in terms of look, design, size and colour has been planned. 3. The World Bank in July, 2010 estimated the size of the shadow economy for India at 20.7% of the GDP in 1999 and rising to 23.2% in 2007. There are similar estimates made by other Indian and international agencies. A parallel shadow economy corrodes and eats into the vitals of the country’s economy. It generates inflation which adversely affects the poor and the middle classes more than others. It deprives Government of its legitimate revenues which could have been otherwise used for welfare and development activities. 4. 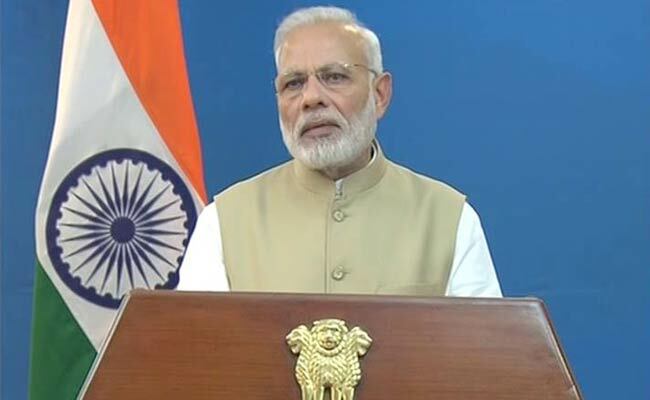 In the last two years, the Government has taken a number of steps to curb the menace of black money in the economy including setting up of a Special Investigation Team (SIT); enacting a law regarding undisclosed foreign income and assets; amending the Double Taxation Avoidance Agreement between India and Mauritius and India and Cyprus; reaching an understanding with Switzerland for getting information on Bank accounts held by Indians with HSBC; encouraging the use of non-cash and digital payments; amending the Benami Transactions Act; and implementing the Income Declaration Scheme 2016. (i) Old High Denomination Bank Notes may be deposited by individuals/persons into their bank accounts and/or exchanged in bank branches or Issue Offices of RBI till the close of business hours on 30th December, 2016. (ii) Old High Denomination Bank Notes of aggregate value of Rs.4,000/- only or below held by a person can be exchanged by him/her at any bank branch or Issue Office of Reserve Bank of India for any denomination of bank notes having legal tender character, provided a Requisition Slip as per format to be specified by RBI is presented with proof of identity and along with the Old High Denomination Bank Notes. Similar facilities will also be made available in Post Offices. (iii) The limit of Rs.4,000/- for exchanging Old High Denomination Bank Notes at bank branches or at issue offices of Reserve Bank of India will be reviewed after 15 days and appropriate notification issued, as may be necessary. (iv) There will not be any limit on the quantity or value of Old High Denomination Bank Notes to be credited to the account of the tenderer maintained with the bank, where the Old High Denomination Bank Notes are tendered. However, in accounts where compliance with extant Know Your Customer (KYC) norms is not complete, a maximum value of Rs.50,000/- of Old High Denomination Bank Notes can be deposited. (v) The equivalent value of the Old High Denomination Bank Notes tendered can be credited to an account maintained by the tenderer at any bank in accordance with standard banking procedure and on production of valid proof of Identity. (vi) The equivalent value of the Old High Denomination Bank Notes tendered can be credited to a third party account, provided specific authorisation therefor accorded by the said account holder is presented to the bank, following standard banking procedure and on production of valid proof of Identity of the person actually tendering. (vii) Cash withdrawal from a bank account, over the counter will be restricted to Rs.10,000/- subject to an overall limit of Rs. 20,000/- in a week for the first fortnight, i.e., until the end of business hours on November 24, 2016. (viii) There will be no restriction on the use of any non-cash method of operating the account which will include cheques, demand drafts, credit/debit cards, mobile wallets and electronic fund transfer mechanisms. (ix) Withdrawal from ATMs would be restricted to Rs.2,000 per day per card up to November 18, 2016. The limit will be raised to Rs.4,000 per day per card from November 19, 2016 onwards. (x) For those who are unable to exchange their Old High Denomination Bank Notes or deposit the same in their bank accounts on or before December 30, 2016, an opportunity will be given to them to do so at specified offices of the RBI on later dates along with necessary documentation as may be specified by the Reserve Bank of India. (xi) Instruction is also being issued for closure of banks and Government Treasuries, on 9th November, 2016. (xii) In addition, all ATMs, Cash Deposit Machines, Cash Recyclers and any other machine used for receipt and payment of cash will remain shut on 9th and 10th November, 2016. (xiii) The bank branches and Government Treasuries will function from 10th November, 2016. (xiv) To avoid inconvenience to the public for the first 72 Hours, Old High Denomination Bank Notes will continue to be accepted at Government Hospitals and pharmacies in these hospitals/Railway ticketing counters/ticket counters of Government/Public Sector Undertaking buses and airline ticketing counters at airports; for purchases at consumer co-operative societies, at milk booths, at crematoria/burial grounds, at petrol/diesel/gas stations of Public Sector Oil Marketing Companies and for arriving and departing passengers at international airports and for foreign tourists to exchange foreign currency at airports up to a specified amount.